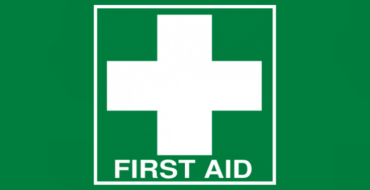 BLS First Aid > Latest News > Why Is Early CPR & Defibrillation So Important? Why Is Early CPR & Defibrillation So Important? Sadly, In Australia, only 9-10% of these 30,000 people who experience Cardiac Arrest will survive. 95% of victims who die, do so before reaching hospital. The chance of survival decreases every minute by 7-10% that by-stander CPR is not provided. When bystander CPR is provided, the decrease in survival rates is more gradual and averages 3% to 4 % per minute. The chain of survival refers to a series of actions that, when put into motion, reduce the mortality associated with cardiac arrest. Like any chain, the chain of survival is only as strong as its weakest link. The four interdependent links in the chain of survival are early access, early CPR, early defibrillation, and early advanced cardiac life support. Please share these startling facts, and if you don’t see a Defibrillator in a place you think there should be one – ask them why they don’t have one, and whether they know how beneficial a Defibrillator really is. Help us influence a safer Australia.